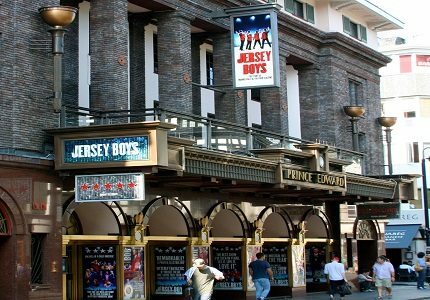 With over 50 international awards, including 4 Tony Awards and a Laurence Olivier Award for Best New Musical, Jersey Boys is widely acclaimed by critics and audience members alike. 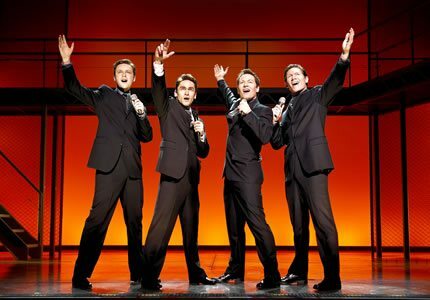 Having transferred to the West End stage in 2008 following a successful run on Broadway, Jersey Boys is now a firm fixture within Theatreland. 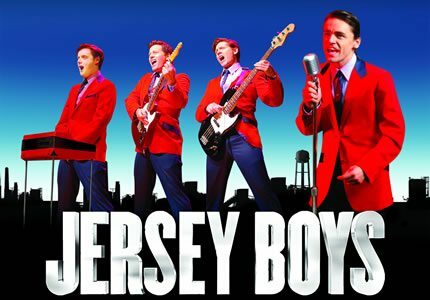 Jersey Boys is the retelling of the personal and public lives of the 1960’s American rock and pop sensations The Four Seasons in the form of a jukebox musical. 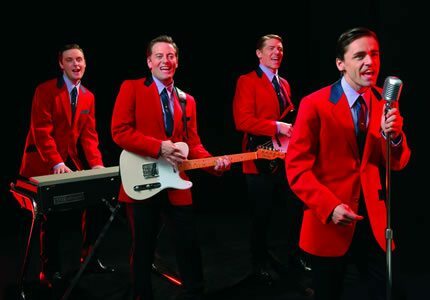 With the music by Four Seasons member Bob Guadio and lyrics by the bands producer, Bob Crewe, Jersey Boys is authentic in its approach to the lives of the four boys from New Jersey. Unlike other jukebox musicals such as Mamma Mia and Viva Forever, Jersey Boys is based on a true, and at times heartbreaking, story, which gives it a defining level of truth and depth. The show documents the happy formation of the Four Seasons and their popularity as a quartet as well as the sad circumstances of their demise, along with the trials and tribulations of the bands personal lives such as love, lust, loss, difficult break ups and divorce. As much as the show is a celebratory reflection of the music of the Four Seasons, it is also an examination of real life emotion that effect even the biggest of rock ‘n’ roll stars. Four Seasons’ hits such as “Bye, Bye, Baby (Baby Goodbye)”, “December 1963 (Oh, What a Night)”, “Sherry” and “Working My Way Back to You” are performed live on stage and are recognisable to audience members of all ages, who often feel inclined to sing along to the 60’s classics.